Wine professional and author Charles Scicolone (above; image via his blog) is one of the most respected authorities on Italian wines working in New York today. He’s also one of the most beloved. With his old school New York cadence and his familiar and welcomed presence at Italian wine tastings in the city, he has been a mentor to many up-and-coming Italian wine writers and tasters (myself included). He’s also married to one of the country’s most popular Italian cookery book authors, Michele Scicolone, making them the “first couple” of New York’s Italian wine and food scene. Charles attended the recent Franciacorta Real Story tasting in New York and this week he published his notes from the tasting. 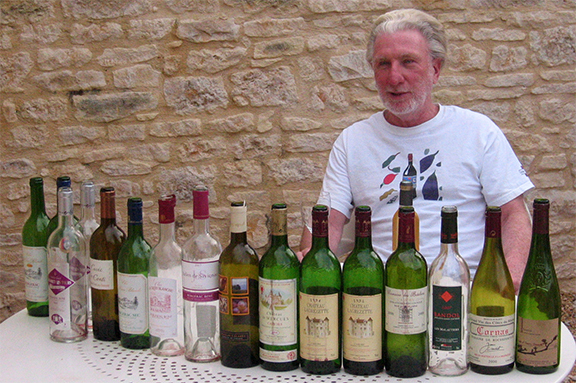 I think readers will find it particularly interesting to read his tasting notes for each of the wines. Charles has been tasting Italian wine for more than thirty years and his insights are invaluable.